Did you know that every year the fire department responds to thousands of cases of fires caused by improperly disposing fireplace ashes? This may be surprising, especially for those who are unfamiliar with proper ash disposal. Ashes themselves, even if not giving off any smoke, can stay hot for days after the fire goes out. Even if you can’t feel any heat radiating off of them, it’s still possible there are hot coals deep underneath the ash. 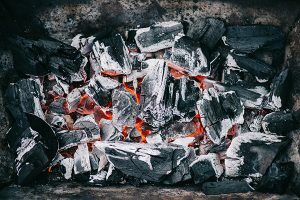 The reason for this is because ash acts as an insulator for these coals, helping them stay warm without burning themselves out for a long period of time. These latent coals can be hot enough to ignite paper, wood, vegetation and even melt through plastics. Often times this doesn’t have to be direct contact either – just carrying an open container through a house can cause pieces of this cinder to fall or spark out, igniting combustibles inside your home. 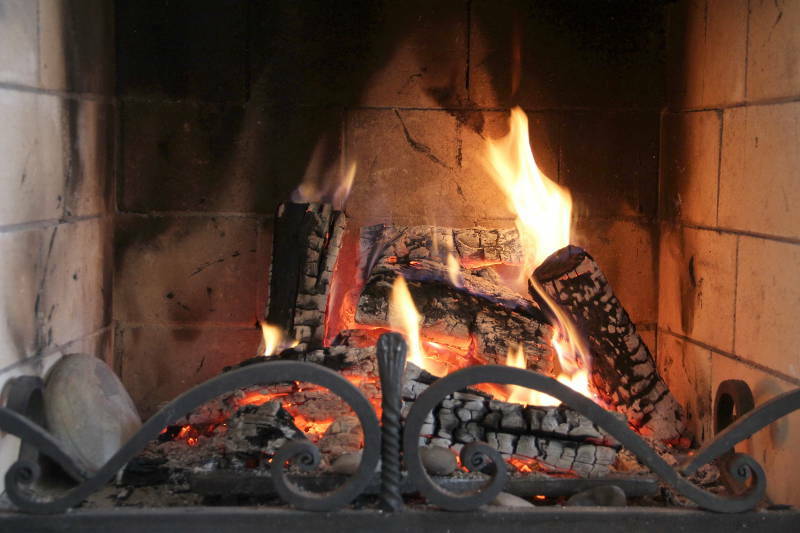 To help avoid damaging your fireplace make sure to not burn anything that isn’t properly approved for a fireplace. You want to avoid any garbage and cardboard, as they can ignite a fire within the chimney causing irreparable damage to it. When disposing of ashes always avoid windy days, as this wind can pick up even cooler embers and reignite them – turning them into a potentially devastating ball of fire. Keeping all of this in mind, along with following proper disposal of your ashes is a simple, yet integral process. Fireplaces can be a source of comfort and beauty, but if you don’t follow a set procedure it can be devastating to your house and potentially be life-threatening. 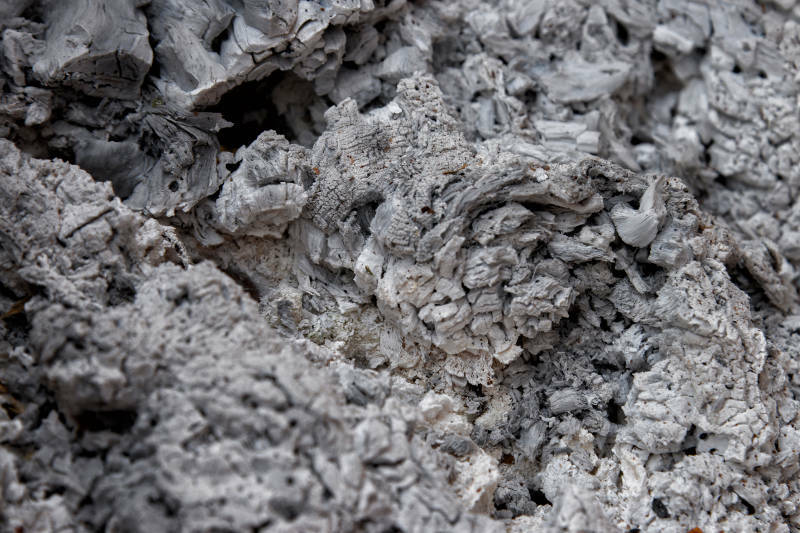 While it may seem a little intimidating, proper ash disposal doesn’t have to be difficult. All you have to do is be mindful of safety and treat it seriously. 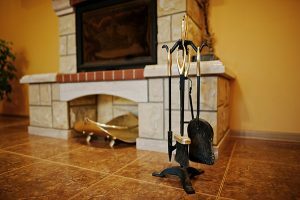 Removing ashes from a fireplace is incredibly important regardless, as it can improve the lifespan of the grates while also increasing the amount of wood that you can burn at one time. Before you get started you’re going to need the proper tools – grab a face mask so you don’t inhale any ash and fire resistant gloves to prevent from burning yourself. It’s also incredibly important to get a hardy enough container that’s non-flammable, as they’ll be holding the ashes for a couple days at least. It’s recommended to get a container that is made out of metal or earthenware, as these are non-combustible materials. From here, you’re also going to want to get a metal shovel or trowel to scoop up the ashes. It’s highly recommended to wait at least 24 hours after the last burning to start removing ashes. Regardless of how long you wait though, always treat ashes as hot. After opening the stove or fireplace door, place the ash container in front of the opening. As you start scooping out the cinders, try to pay attention to any hot coals. While you can remove these as well, it’s better to keep them in the back of the fireplace and sprinkle just a little of ash on them. This keeps them well insulated and allows you to use them as kindling to help reignite in the future. When you get all the ash that you want, make sure to keep it in a well ventilated area away from any burnable materials. Ideally you’re going to want to keep them outside as long as weather is permitting – remember to avoid windy days, don’t have the container located near any dried leaves or wood, or put them in a place animals and children can get into. If you put them inside it’s probably best to keep them on an inside patio or in the garage away from any paper, cardboard or combustible liquids. Using a watercan you’re going to want to pour a little bit of water over the ashes, then follow up with a non-combustible lid. This is a two pronged attack that weakens the ashes by wetting them, and robbing them of any oxygen to stay ignited. Wait at least three days before transferring the ashes to a garbage receptacle. If you’re more of the reuse type, you can recycle those ashes rather than just throwing them away. After following proper procedure, you can repurpose these ashes into many different useful things around the house. For starters, ashes are incredible dense in nutrients such as boron, calcium and phosphorous – all necessary ingredients for plants. You can carefully mix the ashes into a garden bed, or incorporate them into a potting mix. They also work great in correcting PH levels of soil, specifically ones that are acidic. Make sure to test your soil PH beforehand as ash is a base – bringing the PH level down too much can hurt your plants as well. You typically want to keep the soil PH content between 6 and 7.5. This high alkaline content also has the advantage of repelling pest liks slugs and snails. All you have to do is sprinkle a little bit on your plants to make it work as a natural repellent. Ash has numerous household applications as well. If you have a clogged sink drain, you can use ash as a lye substitute to break down any organic material found in there. All you have to do is combine some hot water with the ash and pour it down the drain. There have been terrible fire incidents as a result of improper ash disposal. These tiny embers can lay latent for many days and all of a sudden spark up if not properly taken care of. When cleaning out your fireplace or stove make sure to always use non-combustible materials throughout. When you move them always keep them in a safe, out of the way, but well ventilated spot so as not to catch fire of anything nearby. If you don’t want to just dispose of your cinders you can recycle them in multiple different ways. 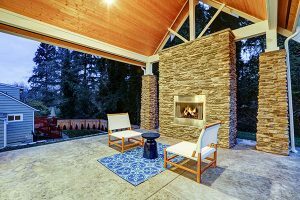 A fireplace or stove can be a great feature of any household as they provide a sense of heat and beauty. Keep it that way by keeping them properly maintained and always putting safety first. If you’re looking for an all new fireplace you come to the right place. 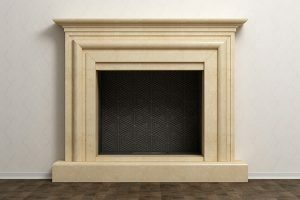 We offer everything between ventless fireplaces to gas log fireplaces and everything in between. Get a free quote now and we can get started on your fireplace project today.